The collection of 8-bit "demakes" has grown one size this day thanks to Petroglyph's 8-Bit Armies. The title is every bit a modern RTS, complete with upgrade trees and resources to manage, as viewed through an NES filter. 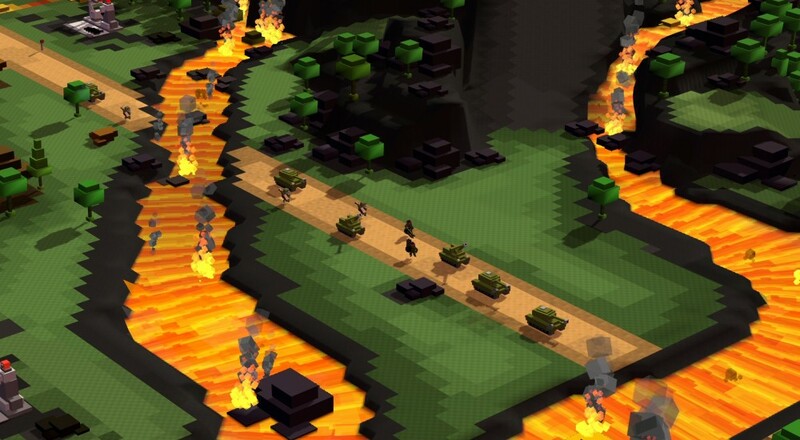 As with many RTS games, much of the action 8-Bit Armies is focused on building up your base, cranking out units, and then marching them off to battle the opposing forces. While the 25 mission campaign is solo only, there are 10 specific co-op missions you can play with a friend. When you're done beating those you can see how well you fair against the A.I. for some good ole fashioned "comp stomp"-ing in the Skirmish mode, which supports up to eight players total (be they human or bot). 8-Bit Armies is available through Steam for 10% off until April 29. The Co-Op Missions support two players online, while the A.I. Skirmish mode supports up to eight in some combination of human and A.I. Page created in 0.7349 seconds.